But, i'm happy so much!!! Extraordinary set of icons. Excellent work. Very neonish. Reminds me slightly of a space station...or a gay bar. Whatever floats your boat. 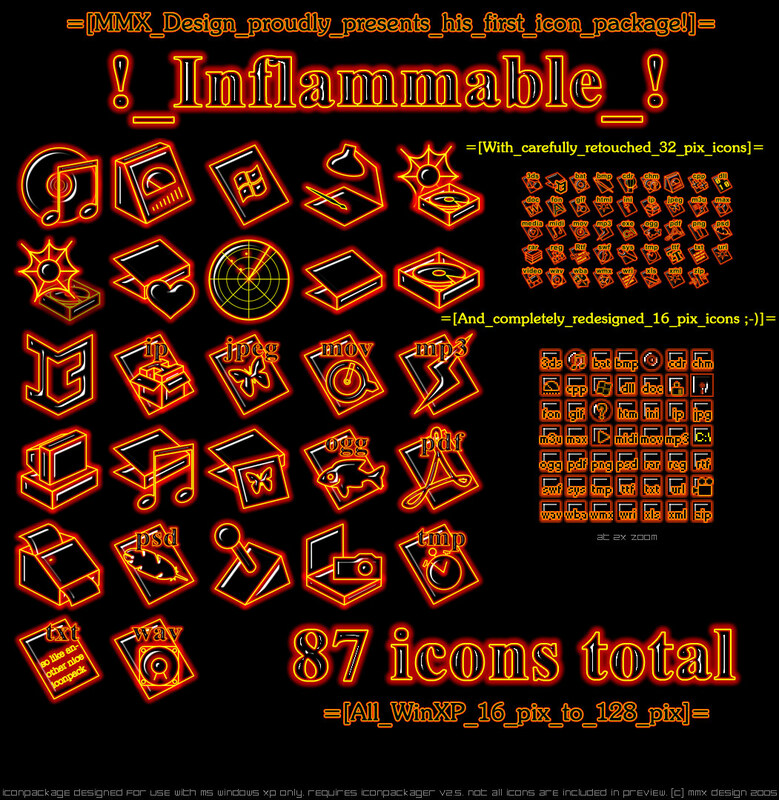 I saw 0 comments near my iconpackage and thinked it's true :SNIFF! Neonish? Huhm... I named this work "Inflammable", cause it looks just like an oil drops which are ready to burn up!! But i'm also will be glad to receive any constructive suggestions about what can be improved. I'm also planning to start a complete desktop skinnin' suite from this iconpackage! So you can wish me good luck! Incredible for a first set - can't wait til you actually get the hang of it. Cool concept and design. Very original! Great-looking icon set. Thank you for sharing!